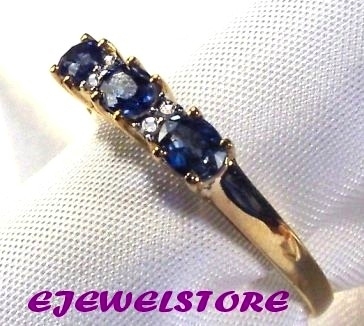 3 BEAUTIFUL GENUINE oval shaped BLUE SAPPHIRES measuring approximately 4x3mm each. Plus 4 GENUINE Round Cut DIAMONDS. What a Gorgeous Ring at a Bargain Price! 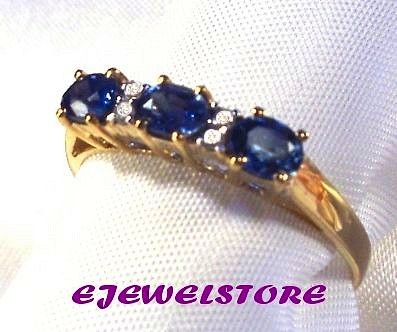 Another ejewelstore.com wholesale bargain! What would you pay at your local jeweller? We combine postage, so you can buy multiple items at no extra postage.